Catfish are not too fussy about the waters in which they swim. They can even flourish in stagnant waters and flooded rice fields. 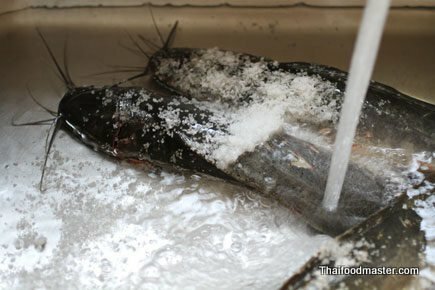 Farmed widely, Catfish is an inexpensive, accessible, nutritional and delicious food source. 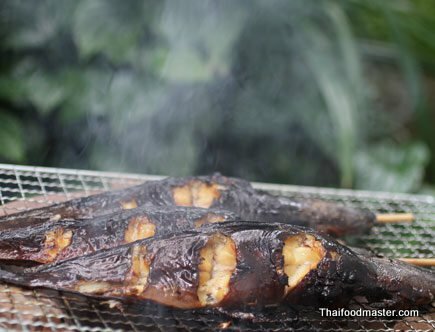 Grilled catfish is a delicacy, the yellowish mildly fatty flesh goes well with sticky rice and chili-limejuice-fish-sauce sauce, or sweet fish-sauce dip and fresh vegetables. 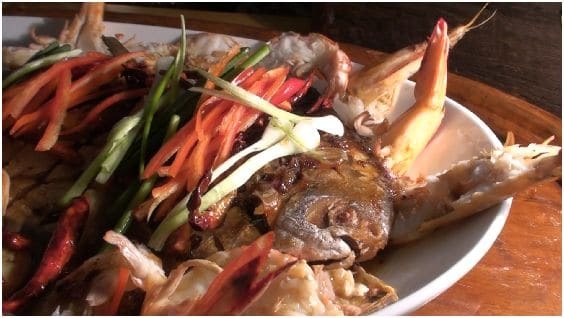 The grilled catfish meat is also used as an ingredient by its own rights, deep-fried to crispy airy cakes or used in stir-fried dishes. 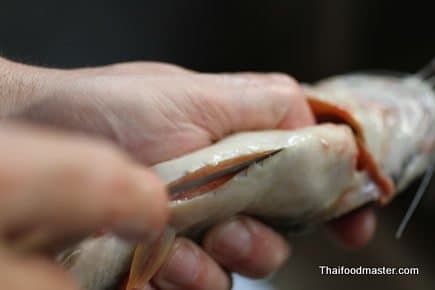 I am showing here today how to grill catfish, The Issan way, in a simple and straightforward style; A basic technique in Issan cooking, holding on the natural flavors and textures of the ingredients with only minimal preparations and equipment. 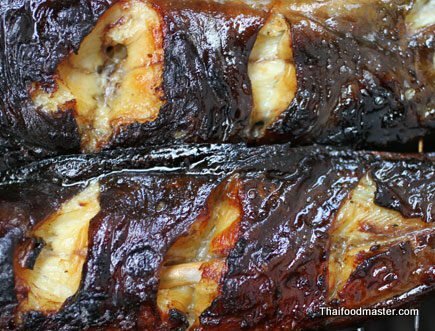 Grilled Catfish to delicacy, the yellowish mildly fatty Catfish flesh goes well with sticky rice and chili-lime juice-fish-sauce sauce, or sweet fish-sauce dip and fresh vegetables. 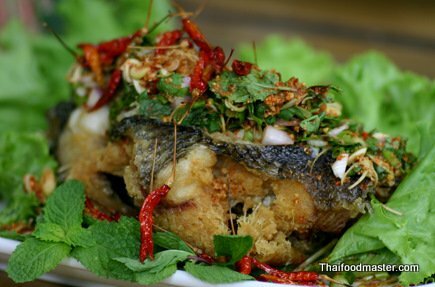 The grilled catfish meat is also used as an ingredient by its own rights, deep-fried to crispy airy cakes or used in stir-fried dishes. 1/2 cup Thai garlic, crushed unpeeled. Thoroughly rub and clean the fish with salt (about 1 cup). Let it than sit in the salt water for about 10 minutes. This will help remove some of the fishy odors and help clean the skin and make it less slippery. 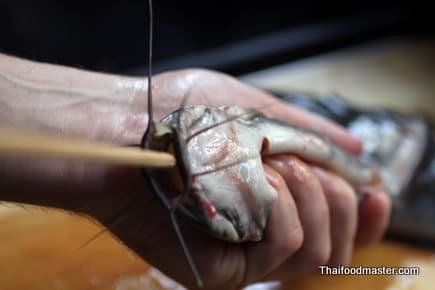 Remove the fish internal organs. Using a sharp knife, score the fish by making some vertical cuts along its body. Insert bamboo skewer through the fish mouth, leaving enough of the skewer to hold to. 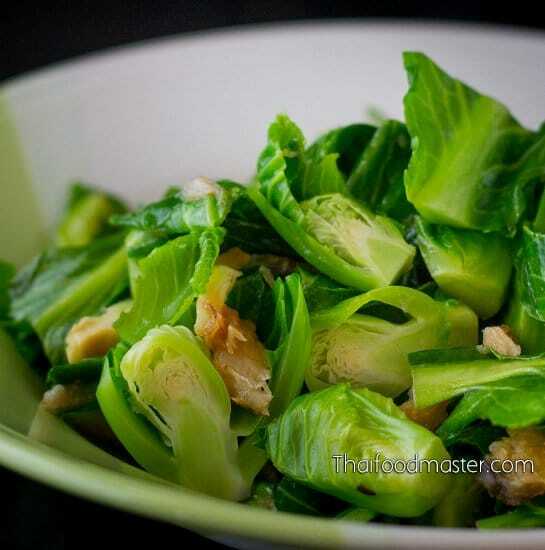 Prepare the marinate by mixing the thick dark soy sauce, light soy sauce, salt, white pepper and the unpeeled and crushed Thai garlic. Let the fish marinating for about 20 minutes. Fire up the grill and wait until the charcoals are not red anymore. 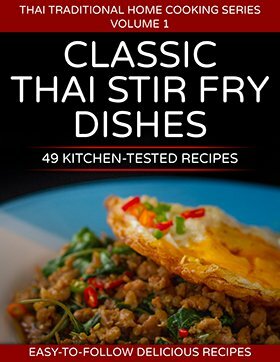 What we are looking for is low heat. 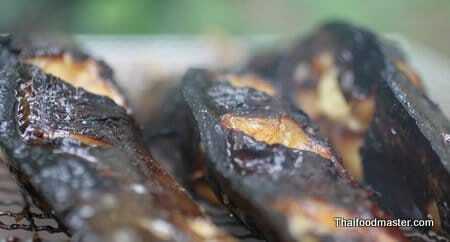 Place the catfish over the grill, if flames burst than your grill is probably too hot. Place some ash over the charcoals or wait for a while before continuing. Slowly grill them to done. It should take about 20 minutes, and constant turning of the fishes holding the bamboo skewers. 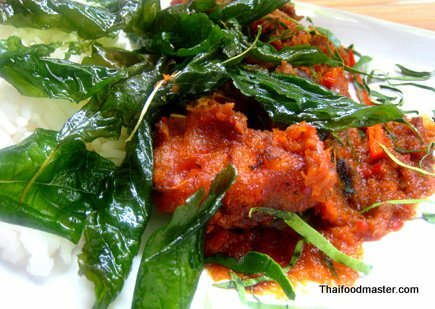 The whole point of salting fish as a preserving method to the Thais goes back way before refrigeration and that is why slated fish is so deeply rooted in the Thai cuisine. 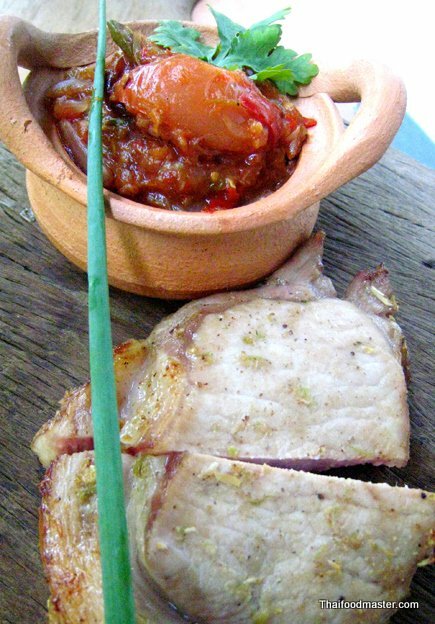 The salting process produces a new ingredient that is different and equally good to the original. The method is simple, the clean fresh fishes are rubbed with plenty of salt and let to dry in the sun. Best quality fish is the sole factor of a great final product. 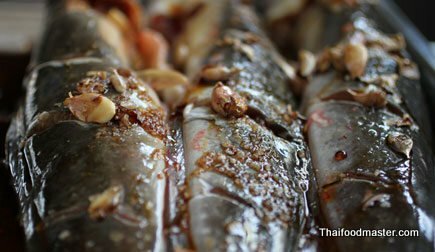 That is why I was so excited the other day to find at the market a rare offering of salted queenfish (ปลาสละเค็ม ; bplaa sala khem). These fast predators are not commercially fished. Praised for their superb quality meat this game fish offers a challenge to catch both to the fisherman and the foodie alike.